Sundara recycles old hotel soap into new bars, giving them a second life. We hire local women to do this work, lifting them from poverty with fair wage livelihoods, and they distribute the soap to their communities while providing free hygiene education classes for vulnerable populations. 'Sundara' comes from the Sanskrit word beautiful. We believe that real beauty is what you give and teach to others. Every year, 2 million children die of diseases - like diarrhea and pneumonia - that can be prevented by regular hand washing. Soap, the most basic form of medicine, unfortunately isn’t available to many of the world’s poorest. At the same time, the hospitality industry throws away billions of bars of gently used soap into landfills every single year. Soap - combined with hand washing education - is the most cost-effective health intervention available today. Watch how we make our soap here. Poor hygiene is responsible for 1 out of every 9 child deaths – that’s more than AIDS, measles and malaria combined. Unilever estimates that there are 70 million people in India alone who have never used soap. 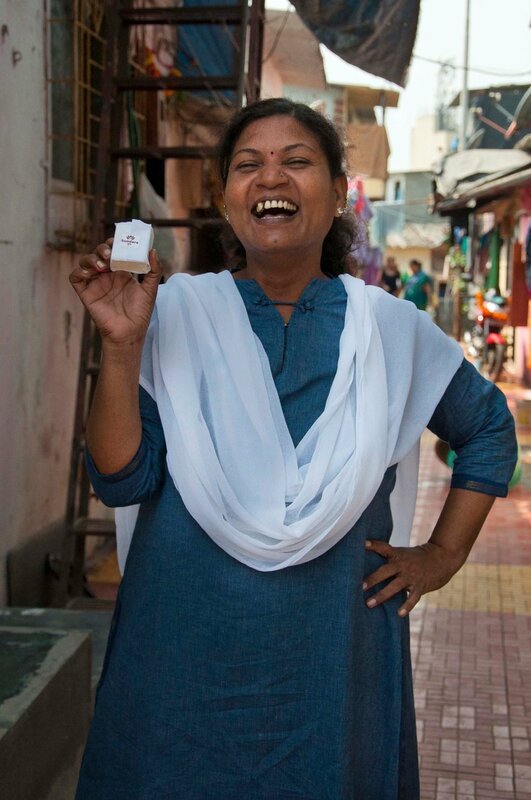 Through recycling soap, we’ve rescued thousands of kilograms of waste from ending up in overcrowded landfills – but more importantly we’ve brought soap to those who couldn’t afford it, given economic opportunity to unemployed women and seen increased rates of hand washing in all the communities we work in. Sundara takes old soap bars that would have otherwise been tossed into landfills, and recycles them into new, hygienic bars of soap that are pathogen free and can not transmit disease. We incorporate community empowerment, female leadership and hygiene education in the process. Our story begins in 2013 in a small village on the Thai-Myanmar border when our founder, Erin, met a group of school children who didn’t know what soap was. Sundara is proud to hire and empower women from underprivileged backgrounds who lack formal education. We offer them fair wage salaries, a safe place to work, and health insurance. improve my community. I feel proud"
Sundara is a US IRS 501(c)(3) tax-exempt organization. EIN# 46-5114363.